Campaigner Michael Baird at the northern junction from the A9 to Tain. Picture by Sandy McCook. 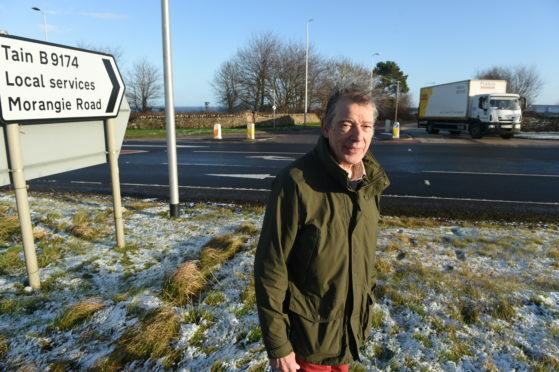 Campaigners have re-issued calls for safety measures to be put in place near Tain at two junctions of the A9 notorious for accidents, after feeling their previous pleas have fallen on deaf ears. Calls have been highlighted after a two-vehicle collision occurred at the Lidl junction just off the A9 last Saturday. Three people were taken from the vehicles to Raigmore Hospital with their injuries said to be serious, but not life-threatening. 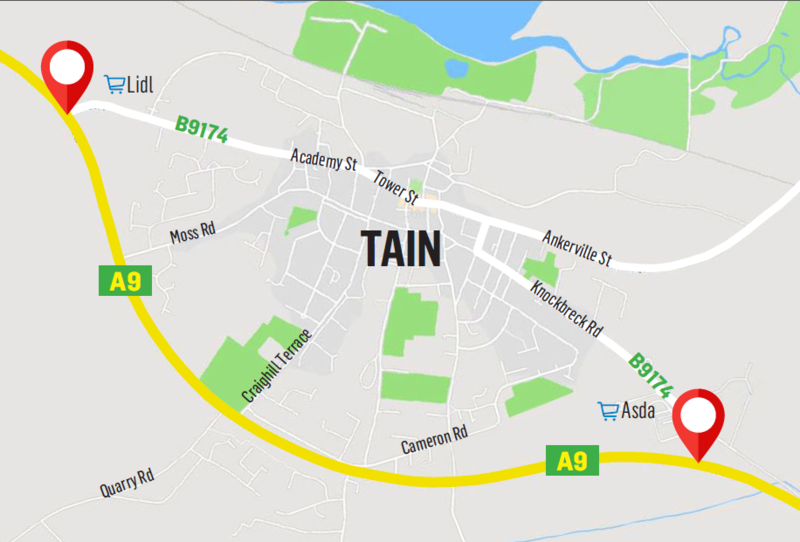 Campaigners have highlighted the two junctions on the A9 into Tain as hotspots, with calls made to increase safety measures. The stretch of road between the Lidl junction and the Asda junction to the south was highlighted by the Press and Journal as the worst serious accident hotspot on the A9 between Perth and Thurso over the past five years, with 11 accidents occurring at the location. Campaigner Michael Baird said: “The two junctions of Asda and Lidl on the bypass of Tain are two of the worst on the A9. “I fear a real catastrophe taking place. “We have been mentally clocking up the number of incidents ourselves and agree that initially a speed reduction should be implemented. Fellow campaigner Ted Venn added: “There needs to be urgent measures taken. An intermediate safety measure would be the installation of traffic lights, whilst they consider implementing roundabouts. “This issue needs rectified because accidents are still taking place. Transport Scotland launched an investigative survey in May to establish if further safety measures are required on the notorious stretch with findings due in November, however, these have not since been released leading to regional MSP Rhoda Grant writing to the governmental department for answers earlier this week. Jamie Stone MP added: “I live right beside the junction and I have seen far too many near fatalities, in fact, it is a miracle we haven’t had one. “I have read what Bear are saying and it seems to be more of the same.